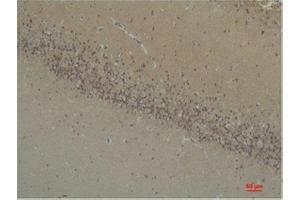 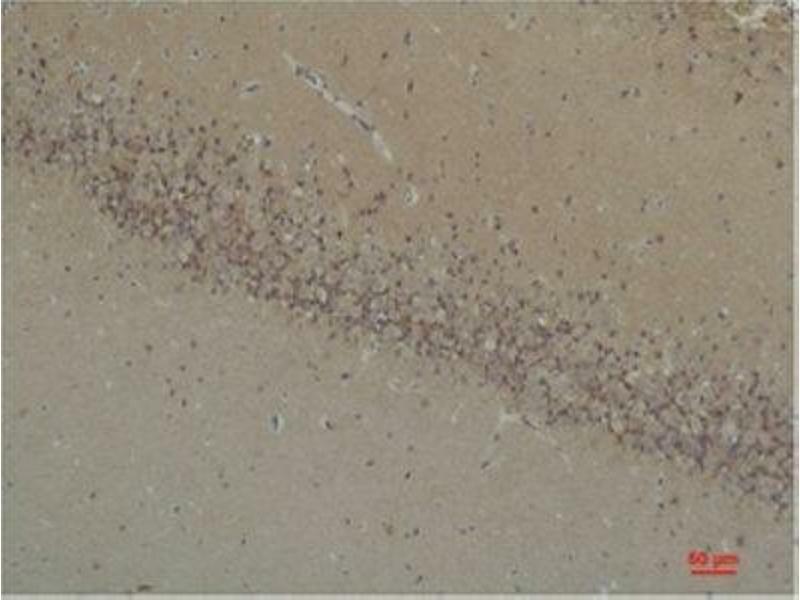 Immunohistochemistry (IHC) analysis of paraffin-embedded Rat Brain Tissue using BAI1 Rabbit Polyclonal Antibody diluted at 1:200. 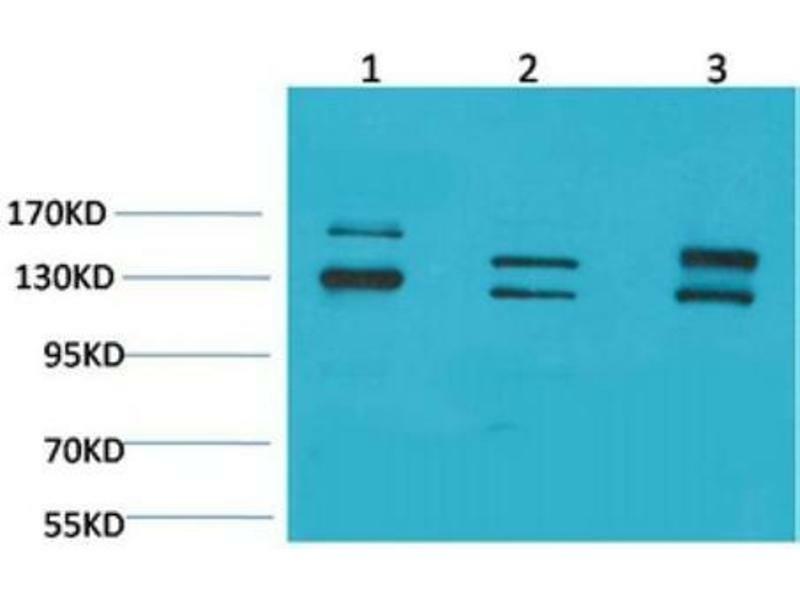 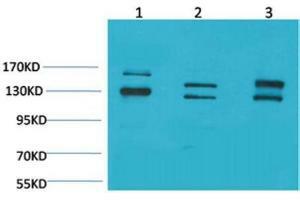 Western Blot (WB) analysis of specific cells using antibody diluted at 1:1000. 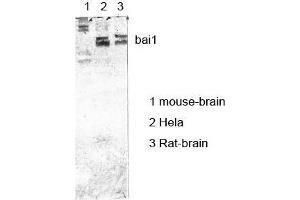 Western Blot (WB) analysis of 1) 293T, 2) Mouse Brain Tissue, 3) Rat Brain Tissue with BAI1 Rabbit Polyclonal Antibody diluted at 1:2000. 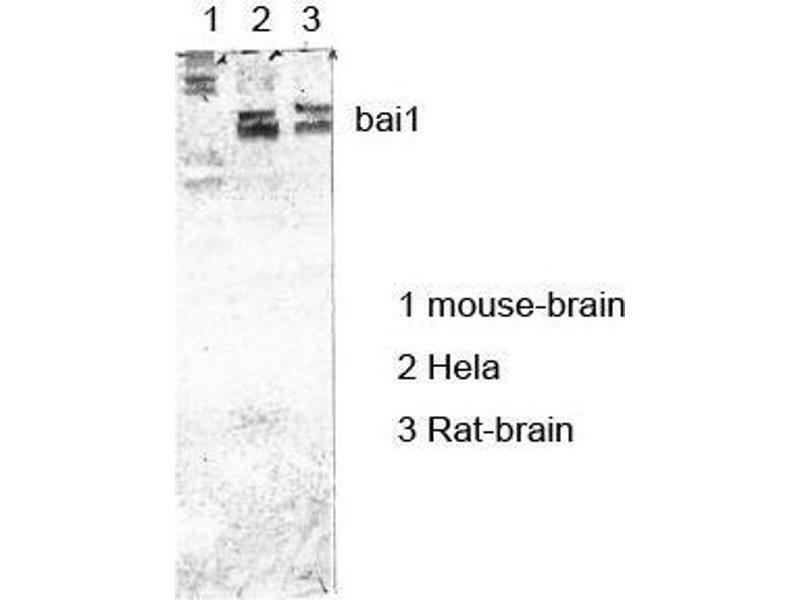 Characteristics Rabbit Polyclonal to BAI1.